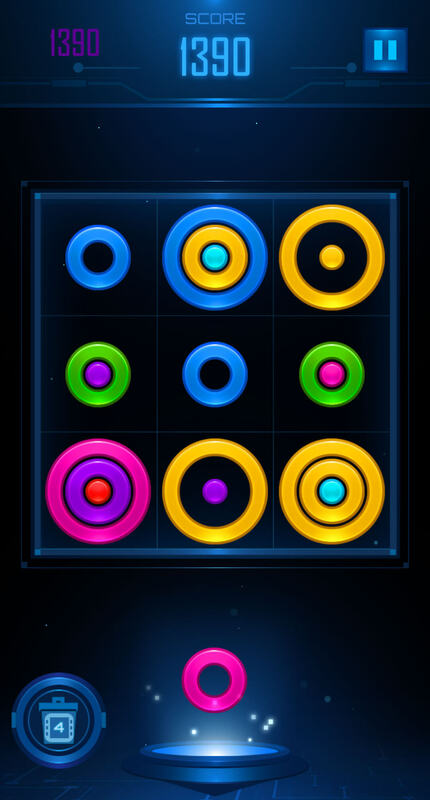 Color Rings Puzzle - Free Casual Games! 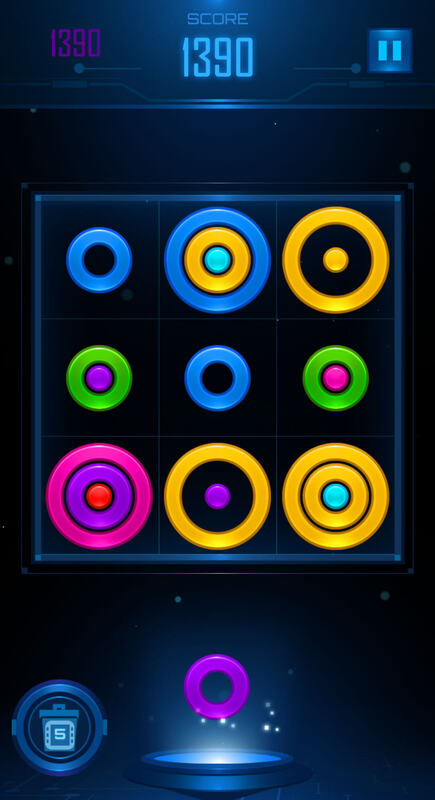 Put same-colored rings in a row to get a match. 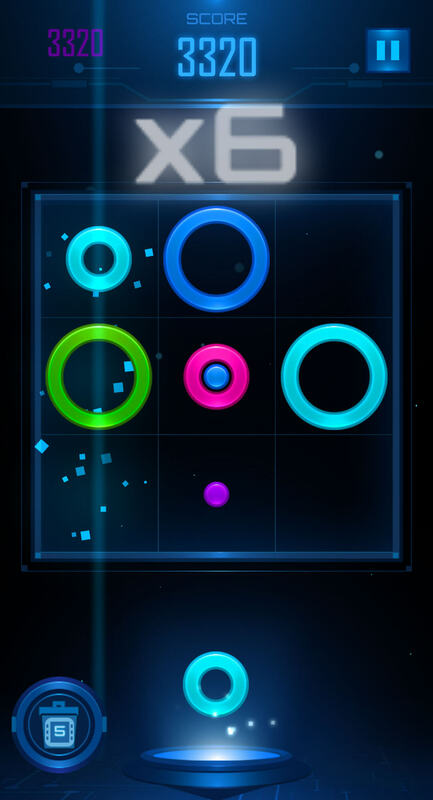 Stack different-sized rings on the same cell.